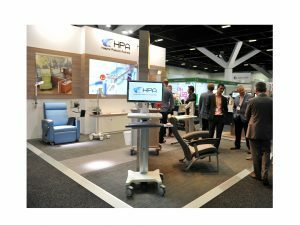 HPA is exhibiting at Australian Healthcare Week 2018 and we are excited to introduce a new partner, MIMSYS Asia Pacific. MIMSYS Asia Pacific provides an end-to-end system that covers the patient journey throughout the facility from sign-in to discharge. The MIMSYS Hospital Management System handles the entire relationship between a Healthcare Enterprise and its clients, enabling seamless paperless operation. Together HPA and MIMSYS can provide both the hardware and software for EMR implementation and help steer hospitals towards HIMSS Level 6. HPA will be showcasing our new 4K monitor as well as the latest technologies with mobile workstations and lighting. Australian Healthcare Week will be held at International Convention Centre Sydney 21-22 March and we are looking forward to seeing you there.